I am a Certified Zentangle® Teacher! 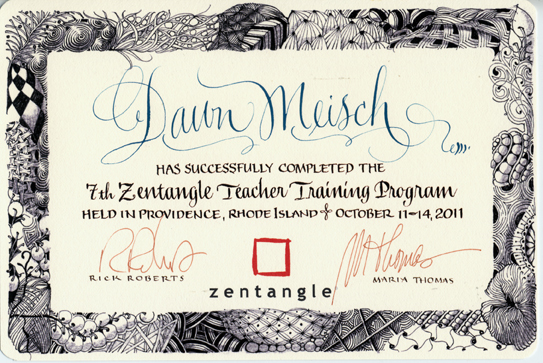 I was fortunate enough to attend the 7th Zentangle Teacher Training in Providence, RI from October 11-14, 2011. I met some truly gifted and wonderful people, learned a lot about Zentangle, and had a really great time. This entry was posted in CZT Stuff. Bookmark the permalink.